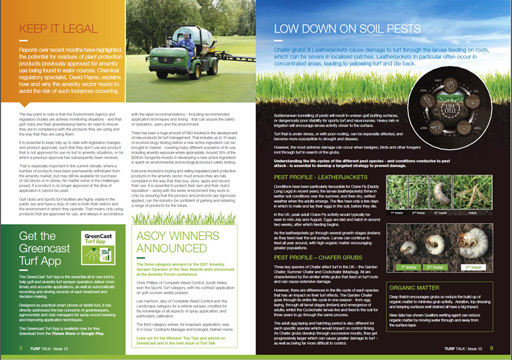 The new issue of the popular Turf Talk magazine is out now, with its insights into the science of turf management, along with initiatives to support and assure the sustainability of the turf industry and everyone who works in it. 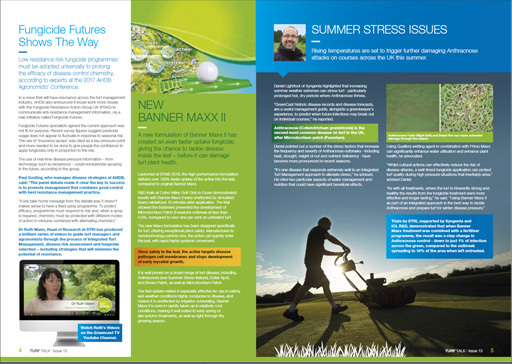 Some of the key features in this issue look at Strategic Disease Control and the experiences of John Band at Swinley Forest Golf Club in Berkshire, with Syngenta Technical Manager, Marcela Munoz explaining how to put a plan into practice to better manage disease populations. Daniel Lightfoot takes a look at the increasing issue of Anthracnose, where stressful conditions last summer saw high levels of outbreaks of disease - often on courses that had never experienced problems in the past. There's also news of how to view Dr Ruth Mann's thoughts on Strategic Disease Control. 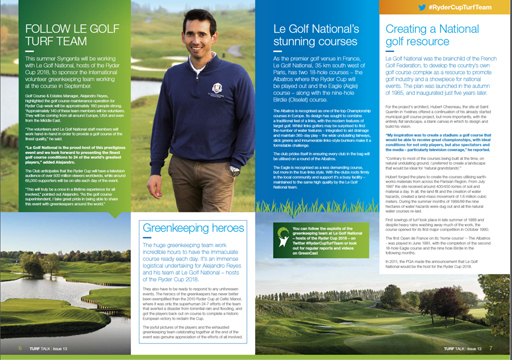 With Le Golf National near Paris hosting the world's most prestigious golf tournament later this year, Turf Talk caught up with Course Manager, Alejandro Reyes, to find out more about the challenge and how Syngenta will be supporting the 150+ international greenkeeprs helping out in September. Find out what you need to do to stay legal with the use of plant protection products on golf courses and amenity areas - and why it is so important? Turf Talk also provides a technical insight into teh life cycles of troublesome soil-borne pests. 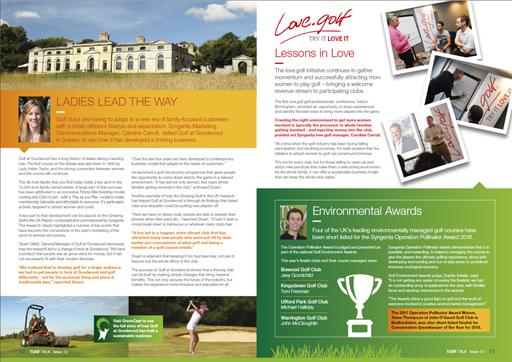 Finally, a focus on the business sustainability of the golf industry sees a look at the successful operation of Golf at Goodwood in Sussex and the development of the Love.Golf initiative, as well the latest on Operation Pollinator.